:This revised edition of the popular evangelism resource presents a simple and relational approach to witnessing that underscores the dependence of God's power for the results. Birthed out of the life-transformation of its author (former brothel-owner turned Christ-follower), this method teaches believers how to navigate a witnessing conversation in everyday situations. (4 sessions)Thousands of churches have successfully used Share Jesus Without Fear in the past, making it LifeWay's best-selling evangelism resource. 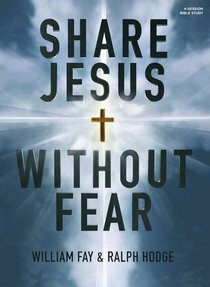 About "Share Jesus Without Fear: Bible Study Book"